PokerStars recently launched a new section on pokerstars.net, their play money site, (I am sure it will be available on the real money site soon as well. 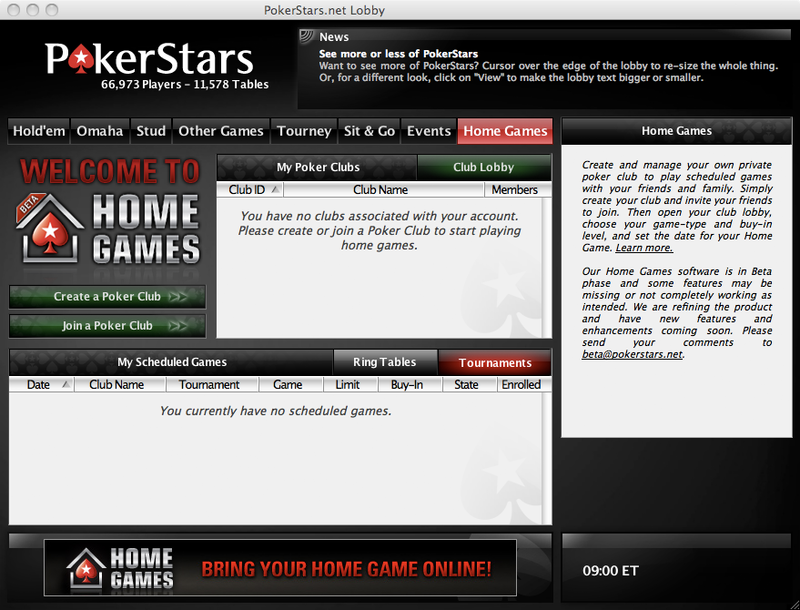 UPDATE: It is now avaliable on pokerstars.com as well) which allows players create their home games to play with friends. It is a great move by PokerStars and I am surprised that it hasn’t happened earlier. PokerStars together with Full Tilt are the ones driving the poker industry forward when it comes to innovation. It feels like they are a few steps ahead of the competition. I have yet to try out the new Home Games functionality but I looks like a pretty cool feature, but I am not that certain of who is the target audience for it (for real money play). If you want to play with friends then there isn’t anything that beats playing “offline” with friends. Do high stake poker players want to play against their friends and win money from them? PokerStars could run different promotions though, for instance “Play a $20 + $2 tournament with your friend and we will give the winner a PokerStars t-shirt“. It will be interesting to see how players will use Home Games and how successful it will be. One thing is certain though, PokerStars are trying new interesting approaches and that will be the key to their ongoing success. When will we see poker team tournaments? 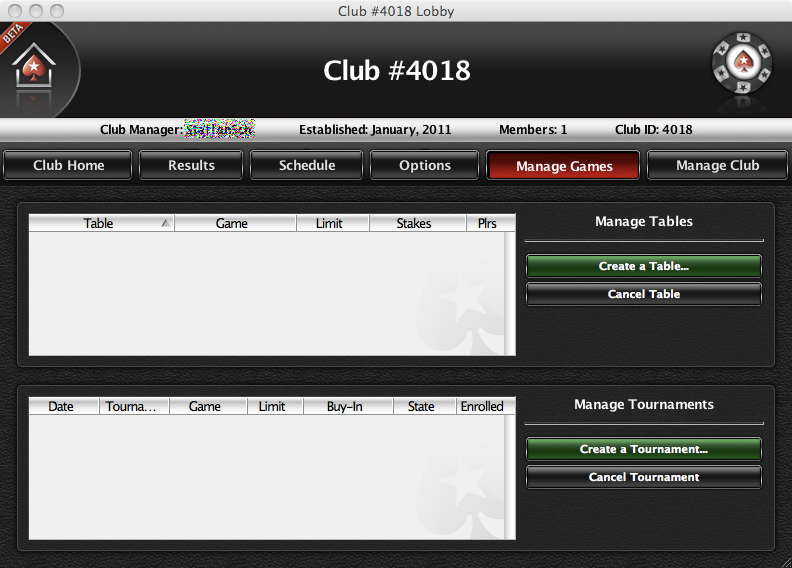 Will PokerStars or Full Tilt be first? Or maybe one of the other poker software companies?